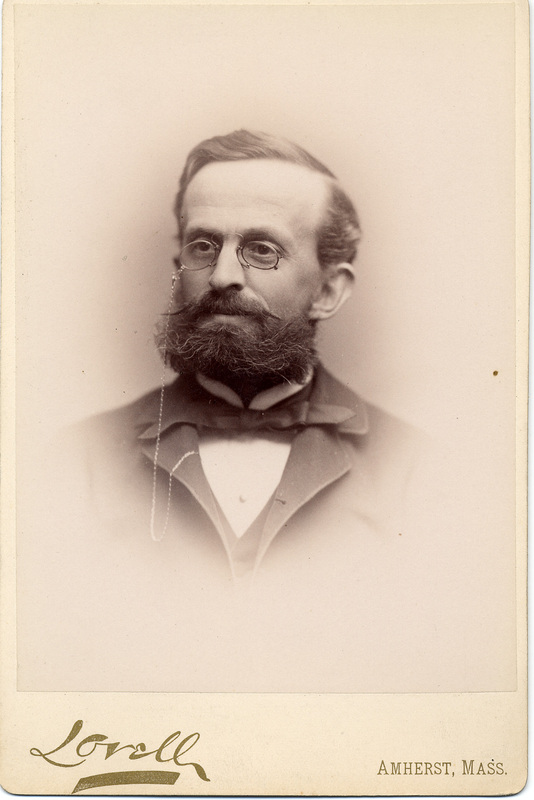 Dr. Sauveur served as Director and a French instructor at the school until 1883, when Amherst College French Professor W. L. Montague took over as Director of the program. Sauveur returned as Director of the Summer School in 1895 and continued as Director until the school closed several years later. Additional tidbit: Anna Leonowens, author of The English Governess at the Siamese Court (1870), taught Sanskrit at the Normal School of Languages in 1878. More about this in Alfred Habegger’s recent biography Masked: The Life of Anna Leonowens. 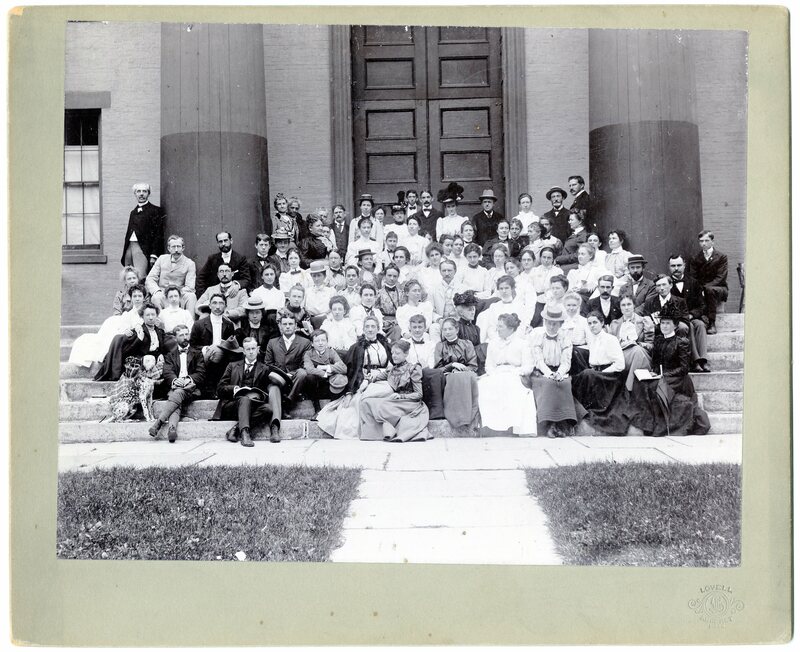 The Summer School of Library Economy, begun in 1891, was developed by William I. Fletcher, Librarian of Amherst College and a vice president of the American Library Association, in response to a growing demand for library instruction. The Library School appears to have been considered a department of the Sauveur Summer School, as the Normal School of Languages came to be known. In addition to classroom instruction and lectures, Fletcher provided the Library School students with field trips to visit regional libraries, including the Forbes Library in Northampton, the Boston Public Library, the Boston Athenaeum, as well as the Riverside Press, a book printing outfit in Boston. Fletcher continued to run the one-man Library School for fifteen years until his retirement from the position in 1905, at which time the Summer School for Library Economy was discontinued. 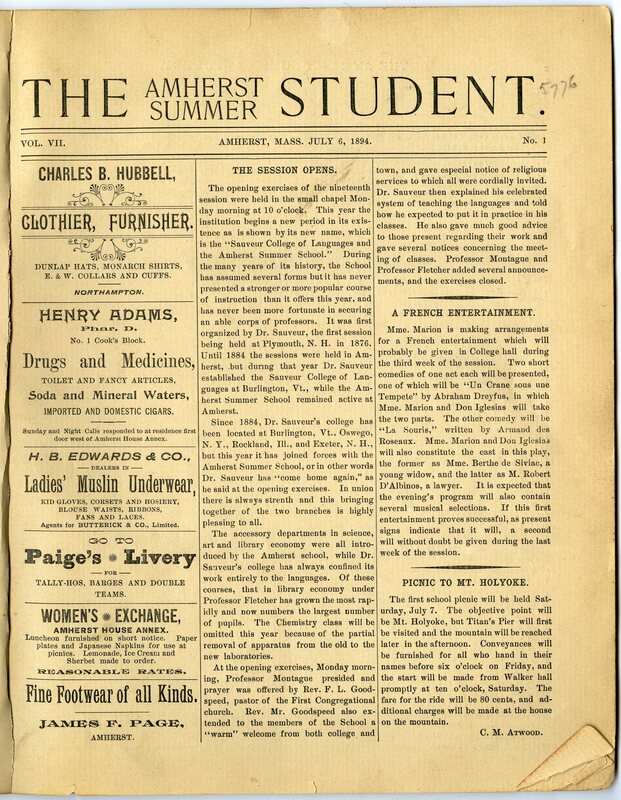 The students of the Summer School edited and published The Amherst Summer Student newspaper. In addition to printing reviews of professors’ lectures, the Summer Student detailed many of the exciting happenings around Amherst, including picnics up Mt. Toby, informal dancing parties at Miss Heaton’s, pickup baseball games in Northampton, whist club meetings, and excursions of all types. Summer Schools: No longer a fad! The Summer school is now as definite and permanent a factor in the professional training of teachers as the normal school…No teacher grows old in his work who devotes half of every summer to first-class vacation study and student companionship…The teacher’s opportunities for self-improvement to-day are so far beyond anything dreamed of twenty years ago, that he lives in another world. See more in the Amherst Summer School Collection in the Amherst College Archives and Special Collections.